Every respondent that reaches the completion URL at the end of your survey will be rewarded. 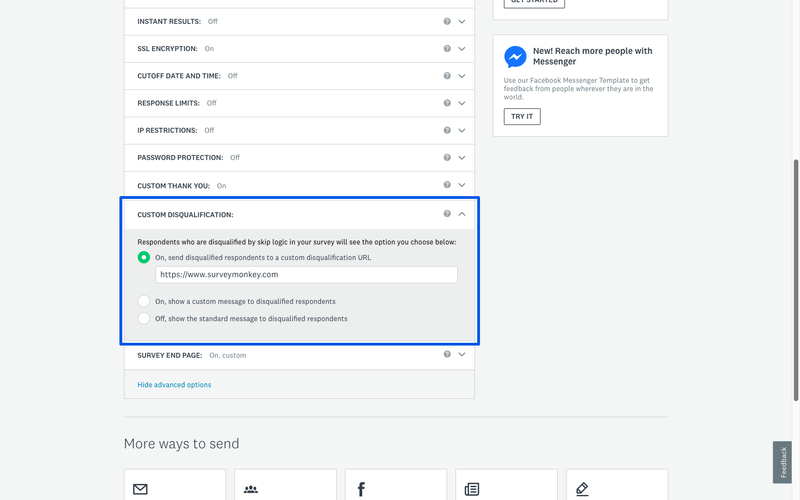 To avoid rewarding unqualified respondents, you'll want to screen them out by sending them back to Centiment using a different URL. * Please make your account representative aware of any disqualifications that are not part of the targeting in your survey quote as this may impact your incidence rate and associated pricing.